We’re working hard to bring you some of the freshest local fruits and vegetables! Hardie’s carries a full line of premium brands for food service. While we are a family-owned business, we are an owner/member of PRO*ACT, the nation’s largest provider of fresh produce to the food service industry. 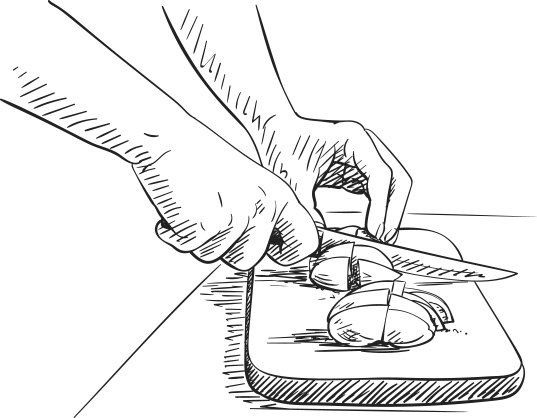 Why spend your time cutting and dicing when Hardie’s Fresh Foods can do it for you? With our Houston processing facility, we can custom cut anything and everything you need. Along with our favorites, we can create custom blends just for you that fit your recipes perfectly! Texas Harvest is all about taking the freshest ingredients and making them more convenient for you. Just taste the possibilities with reduced production time, labor and kitchen waste when we do the prep work for you. Custom cuts and Grab & Go items are made to order in our brand new SQF Level 2 facility, so you get exactly what you need with longest possible shelf life. State of the art processing lines offer flexibility to get what you need, when you need it. Order by 10AM for next day delivery. Hundreds of prepared grab and go convenience options are handmade daily in our brand spankin’ new USDA Kitchen.